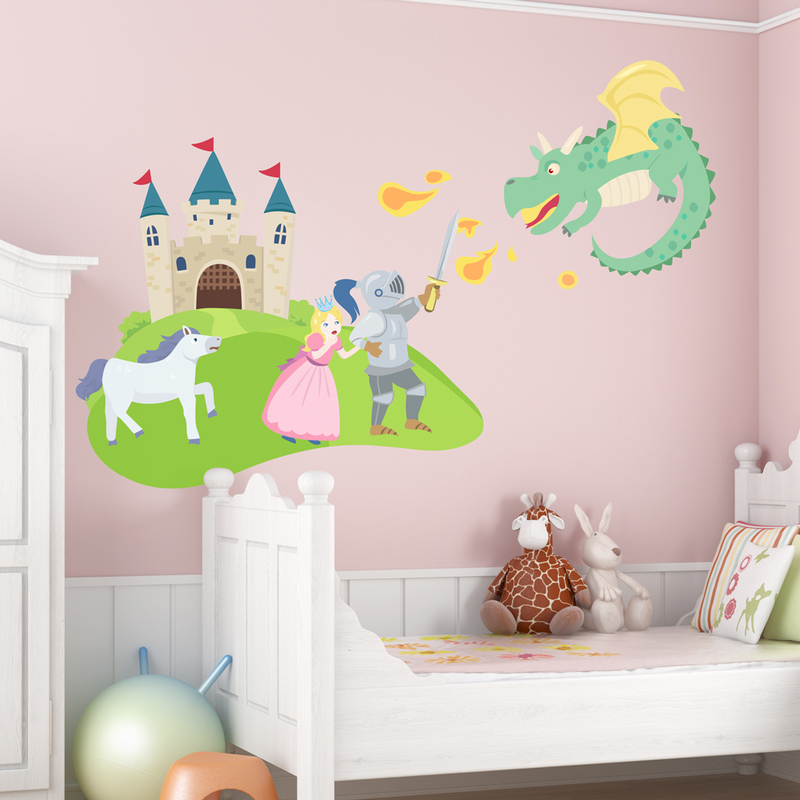 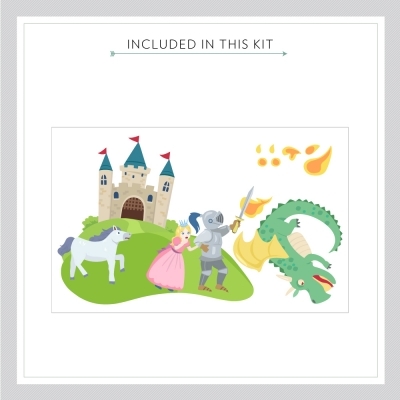 This fairy tale castle wall decal features a fire breathing dragon, damsel in distress, faithful stallion, and a heroic knight to the rescue. The perfect fairy tale wall sticker for any imaginative child with medieval fantasies! Please note: Colors vary slightly from the image above.